And by the way, yes, that is really Penn Jillette. A guy on our crew knew him. While we were writing and shooting the move, our crew guy drove to Atlantic City and shot Mr. Gillette. I think we wrote Penn’s lines before we wrote the script, but we figured we’d work it in – and we did! Also, check out the movie’s star, Sandie Black, over on the youtube! 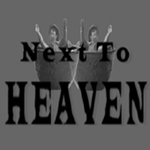 I posted the first Next To Heaven on September 19, 2006, and today I post the 52nd. A year’s-worth of weekly short movies made from archive.org’s public domain footage – pretty impressive, if I do say so myself. I had a great time making NTH, and I think I learned a thing or two as well. Also a big thanks is due to those who helped get the word out about NTH – Freevlog, Ryanne Hodson, Michael Verdi, Karina Longworth, NewTeeVee, Blip TV, Eric Mortensen, Jay Dedman, The Daily Reel, TV Tonic, Mefeedia, Moocat, Podcast Salad, Bill Streeter, Jennifer Proctor, Cheryl Colan, Pixelodeon, Maurice Martin, The Clip Show, Cinema Minima, Rosebud Film & Video Festival, DC Shorts Film Festival, United Vloggers, and Chris Griffin. Finally, with NTH on hiatus, I’ll have more time to make video for my first videoblog – Hopper Video. So, if you’re not already a Hopper Video viewer please check it out. I’ve got some weird and wonderful videos in the pipeline!